Smart website deVELOPMENT COMPANY aHMEDABAD. Ahmedabad web development company Brand Core Media provides creative and bespoke website development solutions with all features required and graphics that votes for your brand. Brand Core Media is a leading Ahmedabad web development company with hundreds of satisfied customers and websites that not only looks great but performs awesome as well. 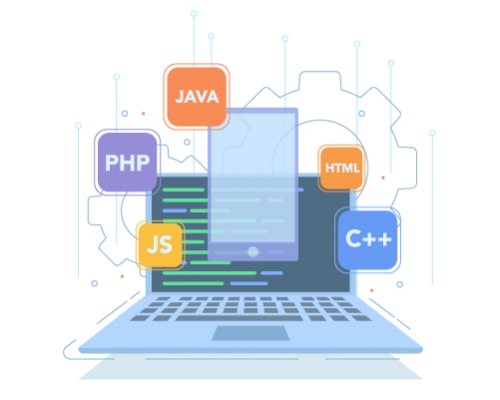 Our recommendation and testimonials provided by our customers prove us as one of the leading Ahmedabad web development specialist. We are an specialist web design & web development agency in Ahmedabad. We help your website to stand out and reach to your customers. Whether you are a small to mid size organization, individual service provider or large organization with range of product and services, creating an appealing website is vital for everyone. This is because more and more customers today are looking to get service providers online and most of them choose company based on their website. Your website needs to be fluent and communicative to your customers for each and every product you sell online. We as a custom web development company in Ahmedabad helps you achieve your target for online reputation building and sales leads generation. It is necessary for everyone to be confident before choosing any website development company in Ahmedabad. While working with Brand Core Media for your next website development in Ahmedabad, you will get lot more than what you have expected from us. At Brand Core Media, our objective is to provide web development service to our customers as an integrated product that performs multiple tasks like fulfilling brand value, getting more leads through search engines and generating ROI through payment gateway integration. Before starting any work for website development we ask many questions to our client like what exactly they are looking for and how they want their website to be performed online. We also consider the visitor profile, their demographic and geographic locations and language preferences for multi country operations. In fact, when you zero down with Brand Core Media for your custom web development requirements, you will get below mentioned services with your website. Custom design and bespoke layout. A design structure that is completely different from ready to use template. Easy to use website interface and navigation menu. W3C XHTML and CSS validated code. A website that works equally on all internet browsers. A website that is compatible with multi screen usability like mobile tablets and PCs. Custom website design based on open source CMS or our own framework. Why Select Brand Core Media For Your Custom Web Development in Ahmedabad? This is quite simple for us to answer! We honestly provide services that we agreed upon within the timeframe and within the budget as agreed. As one of the leading web development company in Ahmedabad with portfolio of other services like social media marketing, search engine optimization, brand identity development and mobile app development, we offer complete online marketing services that your brand requires to succeed online. Hey! Are you looking for custom web development company in Ahmedabad? We spotlight on how people operates your website and how easily they find what they are looking for from your website. Ease of operation and navigation is our priority when we start creating a design for any website. We develop a website with a goal that it should succeed to generate higher ROI and more revenue on internet through online sales. For that we work on how we can simplify the online buying process and how we can generate trust amongst the visitors to provide their personal details. We believe in partnership and trust. We work with mutual understanding with our customers and let them participate in every step of website development. We not only consider their suggestions but allow them to be decision maker at every stage. Hello! Brand Core Media is a full service custom Web Development Company in Ahmedabad offering integrated services for all your online marketing needs. Whether you are looking to get a brand new website or considering redesign your current website with more features and better communication tool than we are right option for you.